Wrapping up a bounce-back year, Bogs saw sales surged 34 percent in the fourth quarter to wind up ahead 10 percent in the year. The brand finally benefited from timely winter weather while also finding success extending into non-winter styles. The figures represent North American wholesale sales. 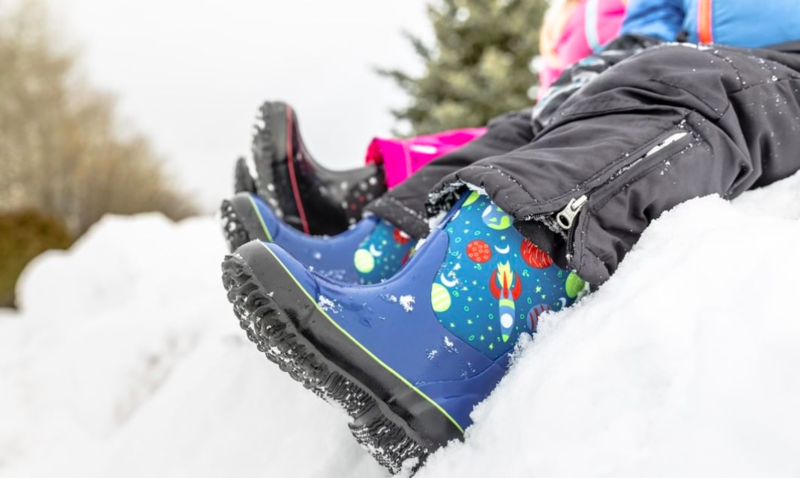 Florsheim said the early winter was particularly beneficial for Bogs because many retailers went into the back half of the year with clean inventory positions in the winter boot category and needed to respond to consumer demand. In addition, new product introduction in 2018 resonated with consumers. Bogs has in recent years has been challenged by Bogs’ seasonality. In 2017, Bogs’ sales were down 9 percent to $42.0 million from $46.1 million a year ago with most of the decline stemming from weakness at outdoor retailers. In 2016, Bogs’ sales tumbled 23 percent as the mild 2015/2016 winter season led retailers to carry over Bogs’ inventory into the 2016/2017 winter season. Companywide, overall sales in the latest quarter were $89.6 million, an increase of 11.6 percent. Net sales in the North American wholesale segment, which include North American wholesale sales and licensing revenues, were $70.8 million in the quarter, up 15.3 percent. Besides the 34 percent gain by Bogs, growth was driven by a 23 percent hike at the Florsheim dress shoe brand. Stacy Adams’ revenues were up 6 percent due primarily to higher sales to department stores and national shoe chains. Nunn Bush’s sales were down 2 percent for the quarter and impacted by the Sears and Bon Ton bankruptcies..
Earnings from operations for the North American wholesale segment were $10.4 million, up 24 percent, as a result of higher sales and gross margins. Net sales in the North American retail segment, which include sales from the company’s Florsheim retail stores and its internet businesses in the U.S., were $8.2 million, up 19 percent. Same store sales (which include U.S. internet sales) were up 21 percent, due mainly to higher sales through the company’s websites. Driven by higher online sales, retail earnings from operations rose to $1.9 million from $1.1 million in last year’s fourth quarter. Other net sales, which include the wholesale and retail net sales of Florsheim Australia and Florsheim Europe, were $10.6 million in the quarter, down 11 percent. This decrease was due to lower net sales at Florsheim Australia. Collectively, Florsheim Australia and Florsheim Europe had operating losses totaling $333,000 for the quarter, compared to operating earnings of $787,000 in the same period last year. The decrease between years was primarily due to lower sales at Florsheim Australia. Effective January 1, 2018, the Tax Cuts and Jobs Act lowered Weyco’s U.S. federal tax rate from 35 percent to 21 percent, which reduced the company’s fourth quarter 2018 income tax provision by $1.2 million and increased EPS by 12 cents. In 2017, the company remeasured its deferred tax balances to reflect the new lower tax rate, which reduced its fourth quarter 2017 income tax provision by $1.5 million and increased its 2017 diluted earnings per share by 15 cents a share. In 2018, net sales were $298 million, an increase of 4.9 percent from 2017. Earnings from operations were $25.5 million in 2018, up 8.9 percent. Net earnings improved 24.2 percent to $20.5 million, or $1.97.